"For those who believe nothing beats the simplicity of the classic margarita." Pour Sauza Blanco Tequila into pitcher with ice. Add in 4 oz DeKuyper Triple Sec and 12 oz fresh lime juice. Lastly add 12 oz simple syrup, stir and serve over ice. Makes 7 delicious drinks, perfect for any ladies night in. I only like the original versions. No pre mixes for me, thanks for the recipe it was delicious. 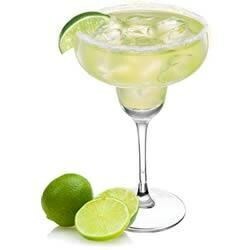 A good basic margarita. It's nice to have options that don't include a mix. I liked this drink-simple and straight forward-yum! Wonderful recipe. I've been drinking margaritas for years and this one is so smooth. I will definitely make this again. Great margarita. I really like using fresh squeezed lime juice and not using a pre-made mix!